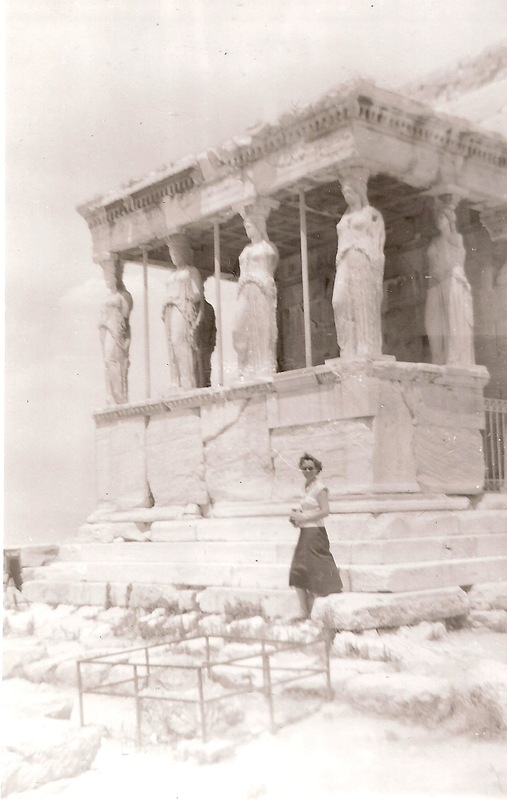 My grandmother's certainty, caryatid-like, could hold up the roof of the world. Here she is some sixty years ago, on her first trip abroad, where she clearly absorbed ancient values of metropolitanism. Over the creek and through the Institute of Terrestrial Magnetism to grandmother's house I went. I'm in Honolulu now, but over the Thanksgiving weekend I was in DC, where the streets are littered with organizations pulled straight from the X-Files. This gave me the opportunity to check in with my Bracknellian grandmother in person, in her charming apartment overlooking the treetops, and to tell her a little bit about some work I've been doing on the no-longer-quite-fledgling National Theatre of Scotland. Note that of these concepts, she only even admitted to the existence of sandwiches, and she stopped just short of calling them abominations. She's a woman of stark absolutes, my grandmother. It's for us plebians to dabble in nuance.